What is your idea of health? I recently gave a workshop to a group of women training for the Danskin Triathlon through the program Heartzone. It was a great time, and this is a copy of the information that I presented. Feel free to leave any comments or questions. When looking at preventing running injuries there are three main areas in the gait that problems can occur; the hip, knee, and foot. The hip is by far the most common area that imbalances take place and therefore one of the most important areas to focus on when talking about preventing injuries. First lets take a brief look at how forces move through the leg. There are two types of forces; internal and external. Internal forces are the forces that your own body create like muscle power. External forces are gravity and ground reaction force (force that pushes back when your foot hits the ground). How fast you run really only depends on these four forces and which ones win. As a chiropractic patient running in high school and college I knew that getting adjusted helped me run better but I never knew why. 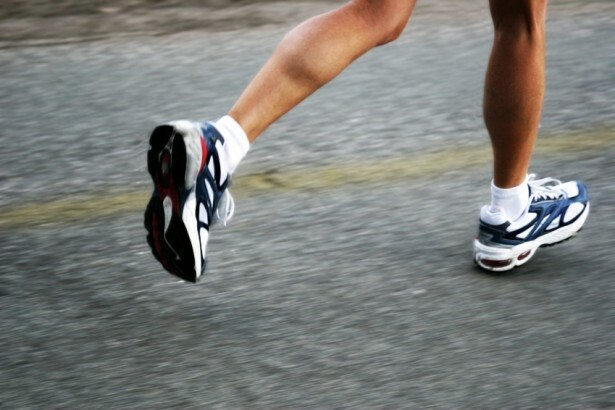 Well now I do – optimal posture and alignment allows for muscles to run more efficiently. When the hips are balanced several things happen. First and most importantly- there is no interference to the nervous system. Secondly, all the joints are moving correctly which allows for the muscles length to be even so there’s no extra tension throwing off any of the forces we talked about earlier. Lastly, it sets a proper neurological pattern for muscle firing. Most people don’t know that muscles should fire in a certain order in the body, and if there is a problem with the pattern either at nervous system level or the biomechanics- it throws off the pattern and eventually leads to injury. So how does the core and hip complex fit into all of this? Well, there are 29 different muscles hat take their attachment to the lumbo-pelvic-hip complex. That is a lot of muscles to coordinate properly and evening. I’m glad my body knows how to innately do that and I don’t have to think about it. When done correctly each structure distributes weight, absorbs forces, and transfers ground reaction forces with each step. WOW! The single most frequent breakdown in the system happens because of decreased hip extension. (How far back your leg can kick.) This means that when you run and you kick behind you, you just don’t kick back far enough. If you don’t there are usually two main reasons it could be from; tight hip flexors or weak gluteus maximus and gluteus medius. If you have either of these two things it shortens your stride length, causes the pelvis to tilt forward which causes the curve in your low back to increase and eventually pain when you run or exercise. When you have decreased hip extension that extra force has to go somewhere, so it makes sense that it goes to the next available moving area – the low back or knees. One major indicator to these problems that is really quick to pick up on is muscle tightness when you are stretching. So if when you’re stretching your hip flexors, midback, hamstrings, IT band, and piriformis is super tight while your glutes and abs are weak you have some imbalances in your hips that need to be checked out. a. Kneel with knees and hands of floor. Keep spine in neutral position with slight lordosis in low back. Reach back or sweep the floor with the leg until the leg is in line with the back without arching or rotating the spine. Progress to sweeping opposite hand along with leg while doing it. b. Should feel abdominal effort and balance challenge without low back strain. a. Begin side-lying propped up on forearm. Hips and knees are bent slightly. Square pelvis so spine is not sagging towards the floor. Perform abdominal brace. Then raise hips up and forward until your knees, hips, and shoulders are aligned. b. Progress to side-bridge on ankles with body in plank position. c. Should feel oblique abdominal effort without much shoulder discomfort. a. Lay on back with knees bent. Squeeze gluts and slowly raise pelvis up. Better if done with a band around knees to facilitate the gluteus maximus and medius. b. Progress without band by raising one leg in the air while maintaining bridge. a. Star in all directions. Stand on one foot and trace star in all directions with one foot make sure pelvis stays facing forward. Now I just gave you most of what I do with my athlete patients. If you only do these things, you’ll benefit, but not nearly as much as if your hips and posture are balanced. If your hips aren’t balanced and your spine is misaligned you can work out all you want buy you’re only strengthening those misalignments. So get your spine checked to make sure your hips are balanced and your nervous system is functioning at 100%! Subscribe to the blog for future updates on injury prevention. Great information, Dr. Endel! Thank you!